What In The World Is Wrong With Northwestern? 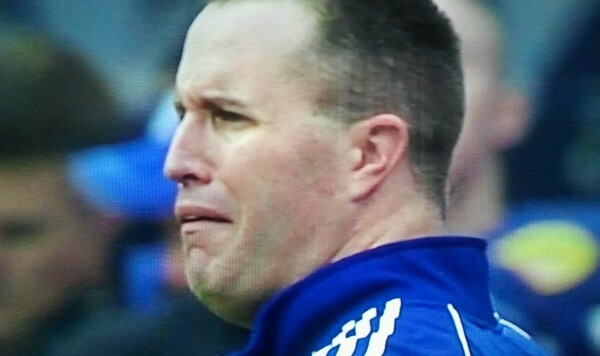 “What in the world is wrong with Northwestern?” Pat Fitzgerald is trying to make sense of that question. So is associate editor Bart Doan in this Editors’ Roundtable on coaching stories and Thursday’s big game between UCLA and Arizona State. Question No. 1: Through the first four weeks of the season, which emergent coaching story has flown under the national radar and should be gaining a lot more traction? A bigger under-the-radar coaching story than Utah/Whittingham/Christensen, in my mind, is the one developing at both Louisiana-Lafayette and Ball State. It’s the same kind of story in two places. Two programs that had steadily climbed the ladder in recent seasons under bright and evidently talented coaches have abruptly fallen on hard times. Louisiana-Lafayette has been getting drilled left and right, including a 28-point loss to a Louisiana Tech team that just got knocked off by an FCS team at home. Ball State pushed Iowa — not a great team, but a team good enough to beat Pittsburgh on the road — but lost the game in the final three minutes. It seems that the Cardinals allowed that Iowa loss to beat them twice; Ball State played listlessly in losing to FCS member Indiana State the week after. The Cardinals couldn’t regroup the following week against Toledo in an important MAC opener. Mark Hudspeth seemed to be the next Sun Belt-to-SEC coach-in-waiting, and Pete Lembo’s rich achievements carried a big “HIRE ME!” sign for athletic directors at struggling high-major programs (Illinois, anyone?). Will these two miserable Septembers halt the progress of two previously ascendant careers, or will Hudspeth and Lembo be able to right the ship… or, as an alternate scenario, get out of their mid-major jobs following this season? I’ve got admittedly zero grasp on what should be on the national radar anymore, because the media is too worried about college kids cussing on tables than anything of real substance in between the bleeding heart obsession over how the NFL reacts to domestic violence rather than how to actually eradicate domestic violence. However, if you’re asking me what I think has been lost on everyone in favor of bleeding heart stupidity, I’d cite the almost-impossible regression of Northwestern this year under Pat Fitzgerald, which has basically been a two-year running thing. The Big Ten has been pretty pedestrian the last two years overall, save for Michigan State and Ohio State. Entering 2013, the word “pedestrian” did not apply to the Wildcats, which over the last 20 years went from a program that’s historically terrible to one you can pretty much pencil in for a bowl game. Northwestern looks bad, and Fitzgerald, who only two years ago was basically the default “oh, I wish we could go hire THAT guy” every offseason for every big job, knows it all too well. Fitzgerald said in July that he looked forward to shaking Cal’s Sonny Dykes’ hand after “we beat ‘em.” That didn’t happen. In July, Fitzgerald clearly felt he had a good football team on his hands. It’s hard to tell if any of this was a potential program-sapping ordeal with the unionization of players and all of the media rubble that lingered around Evanston as that story developed. Maybe there’s a loss in morale after that whole thing? A rift between players and coaches rooted in dishonesty about their true feelings? Who knows. But Northwestern isn’t good in consecutive seasons, and it’s been really a long time since we’ve had to say that. I’m not trying to beat a dead horse here, but it seems like an insanely idiotic comment about the SEC on GameDay by an obviously biased “expert” receives more headlines than what actually takes place on the field. But, if I had to talk about an emergent coaching story, I’d say David Bailiff at Rice. Let’s be honest: college football has become a “what have you done for me lately” type of business. Even though Bailiff won the Conference USA crown last year, the team has gotten off to an 0-3 start this year. While no one expected the Owls to beat Notre Dame or Texas A&M, the loss to Old Dominion – in the Monarchs’ first full season as an FBS member – isn’t going to sit well with some people. The fact that the team currently ranks 122nd nationally in total defense won’t either. Does this mean that Bailiff is toast? Certainly not! In fact, every time people call his future into question, the Owls starting winning, and the speculation dies off. However, I am keeping an eye on this situation. Unless Rice finds some answers on defense, it could be a very long season for the Houston-area Owls. Question No. 2: In Thursday’s important Pac-12 South game between UCLA and Arizona State, which team is more likely to play through its limitations at the quarterback position, and why? Arizona State is in the best position to win this game. Make no mistake about it: Jerry Neuheisel is the more experienced of the two quarterbacks. Thrust into action against Texas, Neuheisel responded by connecting on 23-for-30 for 178 yards and two touchdowns. More importantly, he showed that he could handle the pressure with the game on the line, connecting on all five of his passes in the fourth quarter, including the decisive toss to Jordan Payton. On the other hand, Mike Bercovici isn’t nearly as seasoned. In fact, Neuheisel attempted more passes last week than Bercovici has attempted in his entire career. That gives the advantage to the Bruins. After all, no amount of practice can compare to actual game experience, especially when the contest is still in doubt. 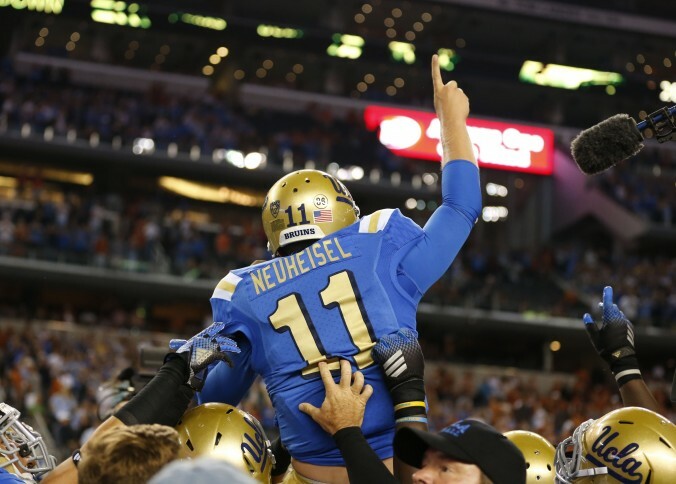 Neuheisel’s ability to lead UCLA to a game-winning drive makes his the quarterback most ready to carry the team on his shoulders. So, why am I picking the Sun Devils? Simple: Arizona State has the better running game. The Sun Devils average over 300 yards per game on the ground, with an eye-popping 7.13 yards per carry. The ability to establish the run early, will force UCLA to commit extra defenders to the run, which should open up the passing game for Bercovici. I like his chances against the Bruin secondary, which ranks 90th nationally against the pass. With Jim Mora being very protective of his intentions this week, making a call on UCLA-ASU before kickoff is a virtually impossible task. One scenario which deserves consideration in Bruins-Sun Devils involves Brett Hundley, the quarterback who may or may not play… but whose health has to be called into question, since he has not been officially named the starter for Thursday’s huge contest in the desert. What if Hundley starts but is unable to push the ball down the field and can only throw the ball short? Can Hundley make it through this contest as a game manager, relying on his scrambling ability to pry open big plays? Or, will his lack of throwing strength limit UCLA’s capacities in the passing game to the extent that a thinned-out ASU defense — which lost so much talent from last year’s group — can keep pace for 60 minutes? That set of tension points will be worth following if Hundley takes the first snap of this game for UCLA. Will a call to the bullpen give him a degree of comfort and familiarity, or will this relief appearance — if it is indeed an in-game appearance, not as the night’s starting quarterback — create a different emotional dynamic for him, one that will make him press a little too much? Mike Bercovici of Arizona State is a complete unknown — his story will begin to be authored Thursday night. The salient question to me is how UCLA’s tangled quarterback dynamic will unfold as this game progresses. If you asked me which team would win before Taylor Kelly’s injury, I would have said Arizona State in a heartbeat, because I’m not sold on the Bruins and never was to begin with. However, Hundley-as-game-manager or Neuheisel-as-familiar-fill-in both seem like scenarios that could trump whatever Bercovici brings to the table. I’ll officially say UCLA, then… but with full awareness that I don’t have the slightest idea what’s going to happen in the first 20 minutes of this game, which will shape the remaining 40. If you know how that first one and a half quarters will proceed in Tempe, go to Vegas. I think you’ve got to go with UCLA and Jerry Neuheisel just from the standpoint of you simply know more. That’s a low hanging fruit type of answer, but we’ve seen Neuheisel have to deal with a late-game situation in a hostile environment against a team that very well could have been his foil with even one more minor mistake. Mike Bercovici may be a senior, but at this point he has less experience in this type of situation than Neuheisel because, well, Taylor Kelly is really good. The thing he does have going for him is the home crowd and a UCLA team that has been just good enough to keep winning, which is sort of the point in the end. Both teams feature offensive weapons that make it so the quarterback doesn’t need to be amazing every week for the teams to win, and that’s why neither should really panic. Like most things in sports though, you take the biggest storyline (in this case, the quarterbacks) and then realize that whatever is the opposite of that will end up being the reason for a win or loss, in this case which defense makes life hell on the inexperienced guy across the way in the other colored shirt.